Wind chills fell as low as -47C in Chicago, with the temperature hitting -23C, as bitterly cold weather moved into Illinois, US. A local newscaster published this video of Lake Michigan, as viewed from Chicago’s Edgewater neighbourhood, appearing like a ‘boiling cauldron’ on Wednesday. Wind chills fell as low as -47C in Chicago, with the temperature hitting -23C, as bitterly cold weather moved into Illinois, US. Wind chills fell as low as -47C in Chicago, with the temperature hitting -23C, as bitterly cold weather moved into Illinois, US. 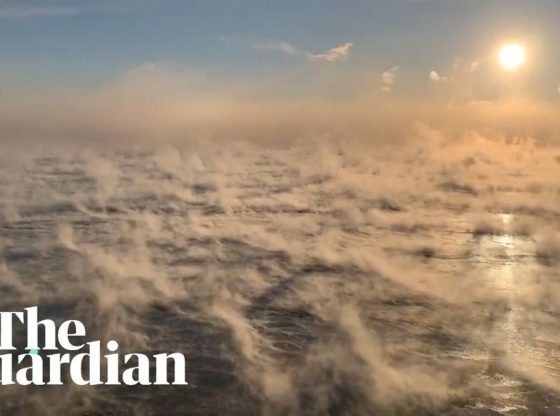 A local newscaster published this video of Lake Michigan, as viewed from Chicago’s Edgewater neighbourhood, appearing like a 'boiling cauldron' on Wednesday.